Drive: 5/16'' hexagon, suitable for DIN 3126-D 8, ISO 1173 bit holders. 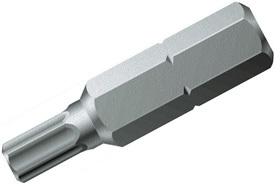 Hex-Plus, tough-absorbing, ideal for difficult screwdriving jobs e.g. in sheet steel or metal.